Call center QA, also called call center quality assurance, is a key element to the running of a successful customer contact center. Whether you are operating an inbound or an outbound call center, you will need a method and system to ensure that agent performance is meeting expectations. Call center QA is largely focused on associate performance management, but it has other benefits as well. It can identify and guide training requirements, and it can provide valuable insights about customer interactions that can enable the organization to improve. 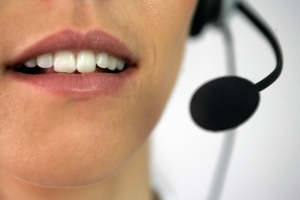 There are an infinite variety of ways that quality assurance can be managed in a call center. Some organizations bear this responsibility in house, while others outsource to a third party. Call center QA can be tracked by a cloud based software system, or by a desktop program. Regardless of how your organization chooses to manage call center quality assurance, there are a few best practices that you should keep in mind to ensure you get the most from your quality program. • Define clear goals and metrics. Make sure you have a clear, objective, and measurable standard for what constitutes acceptable customer service. Utilizing a dedicated call center quality assurance software can make a significant improvement in the performance of your contact center. If your organization is implementing a new call center QA program, ensure that you first have clearly documented expectations and requirements. Look for a system that is flexible to your call center’s needs, and scalable enough to grow with your organization. You will also want to factor in ease of use and lead time for installation. If you are ready to realize the increase in performance and efficiency of your contact center that comes with implementing call center QA best practices, then it is time for you to look into a call monitoring software solution. Consider reaching out to the expert team at Evaluate Quality in the Phoenix/Scottsdale AZ area for all of your call center management needs. Evaluate Quality, founded by Sage Advantage, can help your company enhance call center quality assurance by implementing a sophisticated new call monitoring system. Whether your business is located in Scottsdale, Phoenix AZ, or elsewhere in the United States, Evaluate Quality can be your partner for all of your call center quality assurance needs. The firm is experienced in identifying and designing solutions that are specific to their customer’s unique needs. Contact Evaluate Quality today to schedule your no obligation demonstration.